A Field Sales Manager succeeds through team effort. For your sales team to meet its objectives and achieve outstanding results you must be able to motivate and focus each member whilst leading by example. Learn how to make your team look forward to your field visits, how to train and develop them in front of customers and a variety of other highly practical techniques to achieve and exceed both personal and team targets. 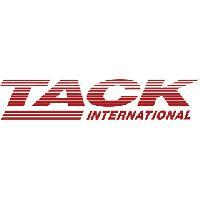 For information about TACK Training International, please visit our Training Provider page on Corporatetraining.ie by clicking here.